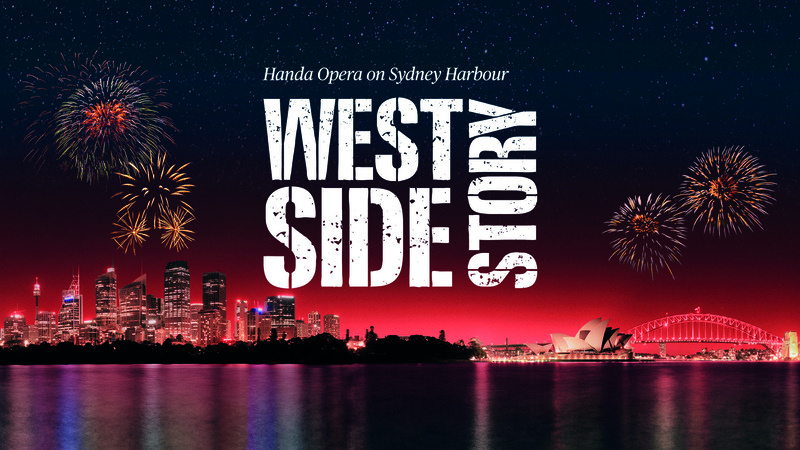 As sun sets and the lights of the Sydney Harbour skyline take hold, settle in and relax for Opera Australia’s incredible production of West Side Story. A uniquely magical experience, the production takes place on a purpose built stage spilling into the harbour. Two and a half times larger than any indoor stage in Australia, the set itself is a sight to behold. Featuring graffitied subway cars, highway overpasses and the famous torch of the Statue of Liberty, the impressive stage sets the scene for a larger than life performance. The stage itself ways 40 tonnes, and 16 pylons have been sunk into the ocean floor to support the stage. Custom built stadium seating allows you to enjoy this outdoor opera, with the Opera House and Sydney Harbour Bridge completing the scene. 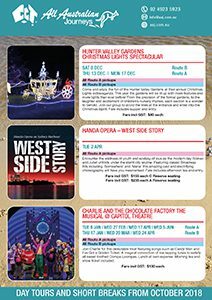 Handa Opera’s West Side Story is the centerpiece of our Sydney and Surrounds 6 day tour, departing Saturday 30 March 2019. With departure options from Brisbane and the Hunter, this is a wonderful opportunity to immerse yourself in the culture and colour of Sydney. 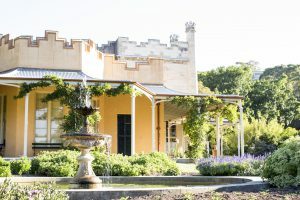 This new All Australian Journeys tour also offers you the opportunity to step inside some magnificent architecture, including the 19th century mansion Vaucluse House, surrounded by its original gardens and grounds. Originally built and furnished in the 1840s, the house has been refurbished to reflect the lavish interiors enjoyed by Sarah and William Charles Wentworth, who developed the fine estate over five decades. Photo ©: James Horan for Sydney Living Museums. 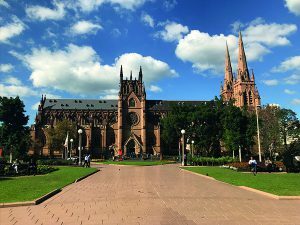 On day two, you also have the option to attend church at St Mary’s Cathedral, built on the site of the first catholic chapel in Australia, this church in the centre of Sydney is built in the Gothic Revival style, reminiscent of the great medieval cathedrals in Europe. After a day exploring the Rocks Markets, enjoy a twilight dinner cruise on the Sydney Harbour. 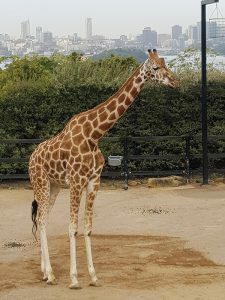 Day three promises some more special experiences—cruise the Harbour to Taronga Zoo, catch the Sky Cable gondola to the top of the hill for a day with the animals at the zoo with the best view and top it all off from the top of Sydney—an indulgent dinner looking out over Sydney at the Tower Buffet. As the lights of the city take hold, choose from the diverse foods on offer. Day four is our day for shows and stars covering the breadth of Australian performances. From Palm Beach and a tour of the scenes of ‘Summer Bay’ to our evening at Handa Opera, this will be an enjoyable day. Begin day five with a fresh experience—visiting the Sydney Fish Market. In addition to a huge variety of the freshest seafood, enjoy browsing the numerous restaurants and cafés, bakery, butcher, gourmet deli and greengrocer. Shifting gears, take a look inside the interesting displays at the Power House Museum, the museum of applied arts and sciences and the NSW Art Gallery, home to a regularly changing collection of Australian and international works. Day six is our last day exploring Sydney, finishing in a similar way to how the tour started, with a tour of Elizabeth Bay House, maintained by the National Trust. 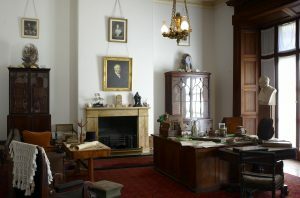 Its elegant rooms and fine proportions, sweeping staircase and lavish furnishings reveal the tastes and aspirations of its original owner, Alexander Macleay, one of the most important public officials in colonial Sydney. As his fortunes changed, Alexander Macleay was forced to sell the house and much of its contents to stay afloat. But the detailed records of its contents have allowed the furnishings to be recreated to reflect its original lavish interiors. This is a fascinating and spectacular insight into Sydney, allowing you to see some of the gems of one of Australia’s most prominent cities. 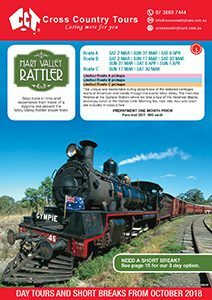 To read the itinerary click here, or to book give us a call on 1300 631 383. 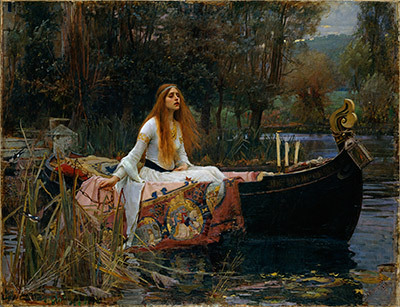 In January and February 2019, All Australian Journeys’ Canberra Art Tours will be overnight bus trips from the Hunter and Sydney—with the focus on Love and Desire, the exclusive exhibition of Pre-Raphaelite masterpieces on loan from one of the world’s most famous art galleries, Tate Britain. So what makes this exhibition worth an overnight bus trip to our nation’s capital? We answer your questions, as well as some you didn’t know you had. Can I have a quick explainer on the Pre-Raphaelites? Not just another art genre, the Pre-Raphaelites were a secret society of young artists (and a writer) from the mid-19th century. Their name refers to Renaissance painter Raphael and the group’s revolt against society, the establishment and the style of painting promoted by the Royal Academy of Art. Like every good art movement, they were initially controversial and opposed by the masses, but grew to become highly influential. Taking serious themes and treating them with maximum realisim, they began with religious themes, literature and poetry, themes of love, death and modern social problems. Flouting convention, the artworks feature brilliant colour, meticulous detail and exquisite layering. Some big names in Pre-Raphaelite art were Dante Gabriel Rossetti, John Everett Millais and William Holman Hunt. What will be on show at the National Gallery in Canberra? The exhibition features 40 of Tate’s most famous Pre-Raphaelite works, alongside 40 more pieces on loan from other British and Australian collections. Rarely lent, many masterpieces from the Tate have never been seen before in Australia. You’ll also have time to explore the permanent exhibitions of the gallery, including more than 160,000 works of art across four main areas: Australian art, Aboriginal & Torres Strait Islander art, Asian art and European and American art. Why are there so many redheads? You may have noticed that many of the Pre-Raphaelite works feature beautiful redheaded females—so is it true that redheads have more fun than blondes? Not necessarily the flavour of the time, the artists were infatuated by red-headed models, with Rossetti in particular discovering his muse in Elizabeth Siddal, the first supermodel. She showcased a new chapter of beauty—tall, graceful, long neck, erect posture and flowing red hair. The art from the Pre-Raphaelites probably changed the destiny of redheads everywhere, starting a new trend of beauty. Well respected ladies of the time traditionally wore their hair up, often covered in public, with flowing hair reserved for the husband’s eyes. Red hair is now a clue to a fiery woman, who is wild or otherwise dangerous. Why is Tate a leader in Pre-Raphaelite art? Henry Tate was an industrialist who provided funding—and his collection of 19th century art—to the nation of Britain. 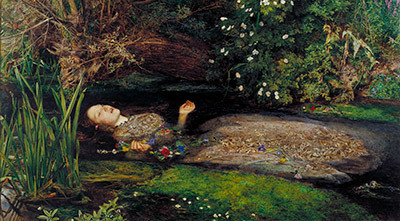 He was a patron of Pre-Raphaelite artists, and his bequest of 65 paintings included Ophelia 1851-2 (John Everett Millais) and The Lady of Shallott 1888 (J.W. Waterhouse). The bequest was initially turned down because there was not enough space in the gallery. 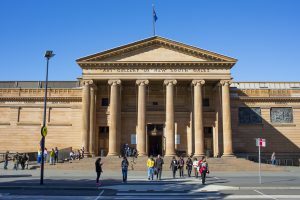 What is Australia’s connection to Tate Britain? Tate Britain was originally known as the National Gallery of British Art, built on the site of the Millbank Penitentiary—originally a departure point for sending convicts to Australia. 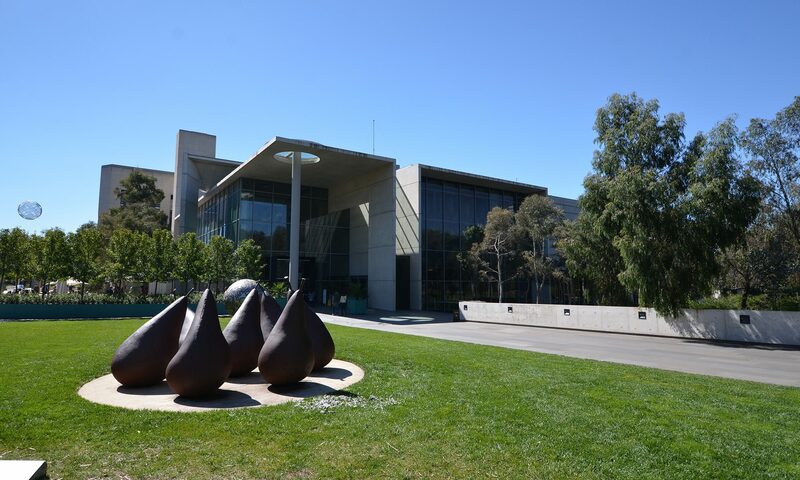 What are some of the other highlights of the Canberra Art Tour with All Australian Journeys? A picnic lunch in Bowrall’s Corbett Gardens—stop for a break in the beautiful, leafy gardens. Relive history at the National Film and Sound Archive of Australia—be amazed at how the moments of our history have been captured, including films, television and radio programs, videos, audio tapes, records, CDs, phonograph cylinders and wire recordings. Discover documents and artefacts such as photographs, posters, lobby cards, publicity items, scripts, costumes, props, memorabilia, oral histories, and vintage equipment. Read the detailed itinerary here and check our departure dates, or contact us to book. 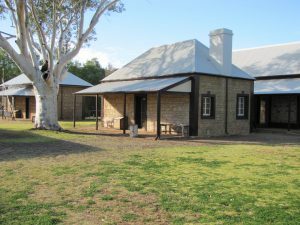 Australia is famous for its outback landscapes and its road trips between iconic landmarks, many established in pioneering days by explorers, pioneers, miners, convicts and farmers seeking to establish a life in a sometimes harsh environment. In amongst early landmarks is breathtaking beauty, and it’s for this reason that international travellers and Australians alike seek to conquer the outback and discover its unique history. 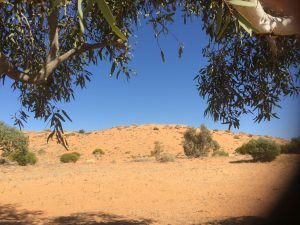 In August 2019, we’re travelling on the Birdsville to Alice Adventure. Here’s a small snapshot of what you’ll discover on this tour. Travellers from Queensland will fly into Newcastle, where they will join Sydney and Hunter passengers for lunch before embarking on this 9 day journey. The first overnight stop is in Gunnedah, the beautiful agricultural town that inspired the poetry of Dorothea MacKellar, author of ‘My Country’. 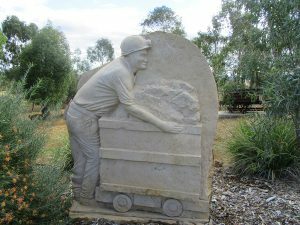 Sculptures at Pensioner’s Hill, Gunnedah. Today you can stand in two states at once, in Mungindi, on the border of New South Wales and Queensland. After lunch along the river in St George, we continue on to Roma, lined with Bottle trees along the streets. You’ll enjoy a town tour of Roma tomorrow. After travelling through Mitchell and boulder opal country, Quilpie, you’ll arrive in Birdsville, on the banks of the Diamantina River. 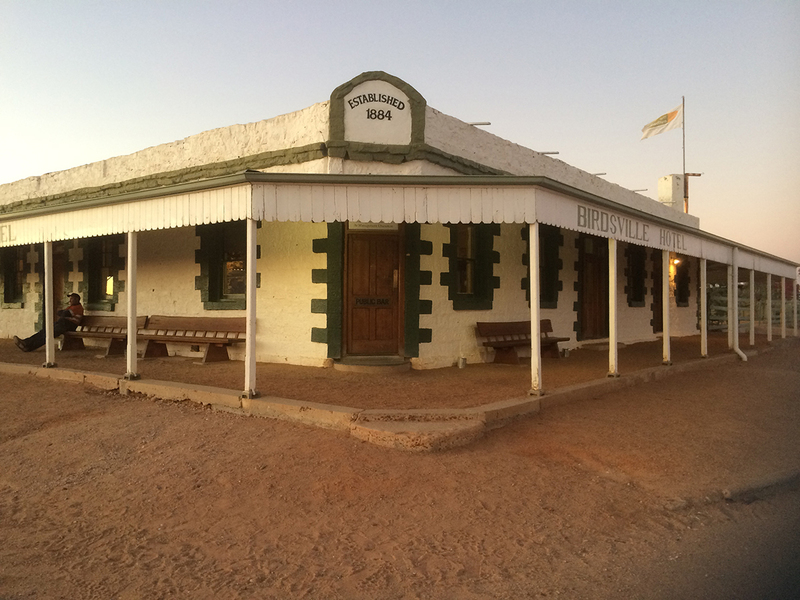 We have two nights in Birdsville to experience this outback icon and all it has to offer. 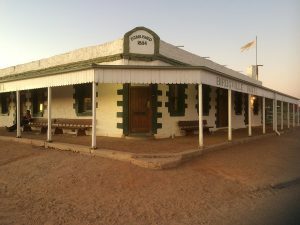 The famous pub was built in 1884 and has weathered storms, floods, fires and cyclones, being upgraded along the way. We’ll of course have time to enjoy a drink and chat to the locals. You’ll have time to view and climb Nappamerri, or ‘Big Red’, Australia’s highest sand dune which rises up to 35 metres above the surrounding plains. Maybe try a camel pie at the Birdsville Bakery and visit the Birdsville Race Track, home of the Birdsville Races. This small town offers plenty of character. Nappamerri or ‘Big Red’, Australia’s tallest Sand Dune. From Birdsville, we travel the remote outback along the Birdsville Track, an iconic road journey between Birdsville and Maree in South Australia, covering about 517km. Rest assured, it is more than just a track these days, now a well travelled dirt road. Tom Kruse (the mailman, not the actor) was made famous in this part of the country by the documentary ‘The Back of Beyond’, documenting his 2 week mail route between Birdsville and Maree, which he worked from 1936 to 1957. You’ll have the chance to have your photo taken in one of his original mail trucks. 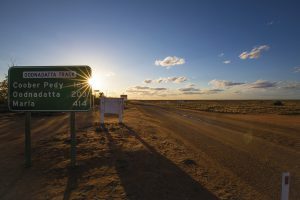 Another of Australia’s famous outback road trips, we join the Oodnadatta Track to the Southern tip of Lake Eyre, stopping near the water’s edge for a picnic. Lunch will be at another famous outback pub, the William Creek Hotel. The town has a population of 10, but is bolstered by tourists and visitors to see Australia’s famous lake. 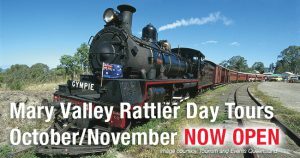 Image courtesy South Australian Tourism Commission. The Oodnadatta Track. We cut across the channel country to Coober Pedy, famous for its underground buildings. It’s cooler to live and stay underground, and you’ll stay overnight in one of the dug out buildings, the Desert Cave Hotel. 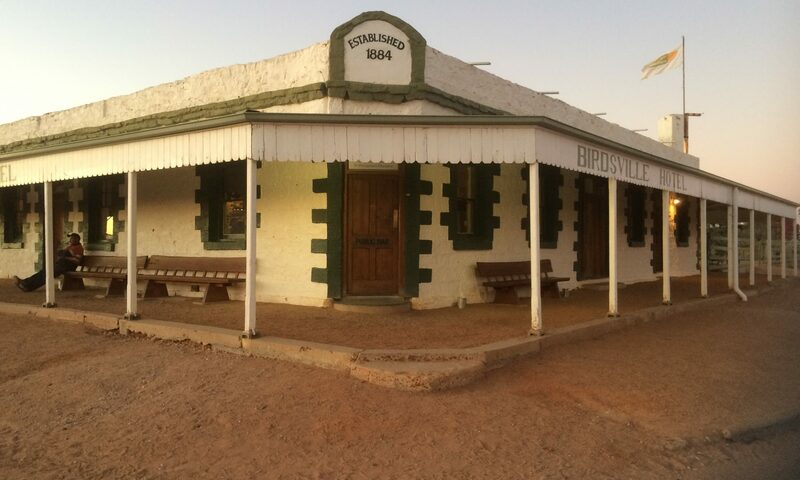 Tour this interesting town and you’ll have the opportunity to see and perhaps purchase some beautiful Coober Pedy opals. 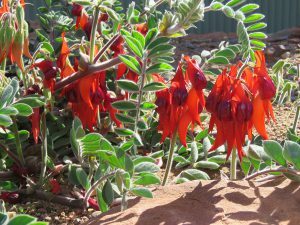 The Sturt Desert Pea, iconic flower found in the region around Coober Pedy. 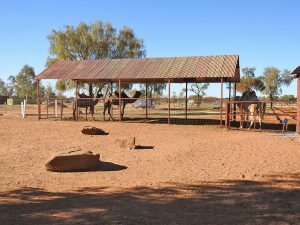 At the foot of the James Ranges at Stuart’s Well, you’ll have the opportunity to take a short camel ride, often called the ‘ships of the desert’. This is one of the fun highlights of our tour. 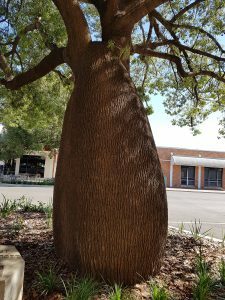 The heart of Australia is where our tour finishes, but there is plenty to see in this Northern Territory town. 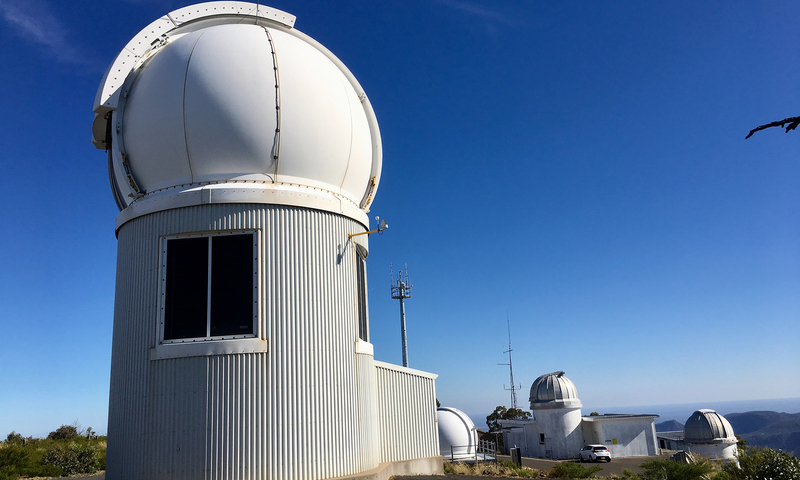 Take a look at the Old Telegraph Station, see how education is different at the School of the Air and take in the view of Alice Springs from the Anzac Hill Lookout. In this outback tour we cover the remote and incredible landscapes of four states. This is a tour like no other. Relax on board your flight home, with unique memories of a unique country. 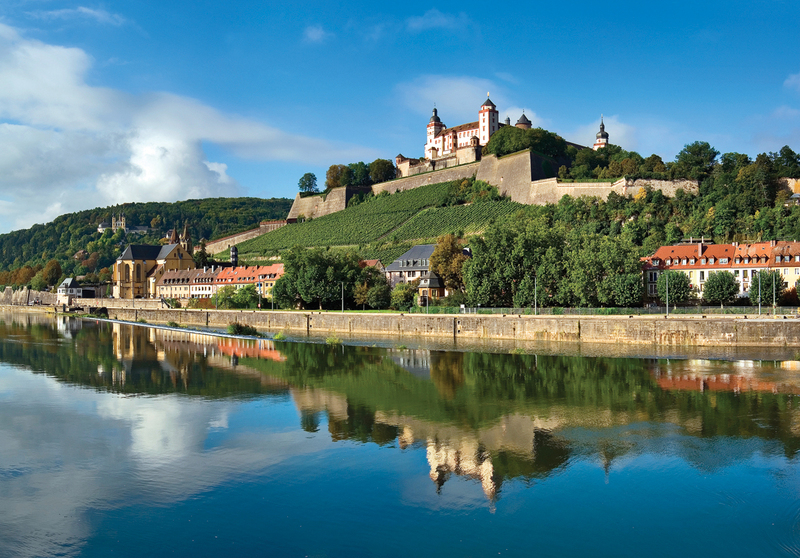 Download the itinerary here, or call us to book on this tour. Over recent months we have heard a lot about how farmers are doing it tough, with much of Australia recording some of the worst drought it has seen in 20 years. Hopefully, by the time you read this, Spring may have brought with it some relieving rains and changing fortunes, but continued rain is needed. It has been inspiring to witness many individuals and companies donating to support farmers and their fellow Australians. 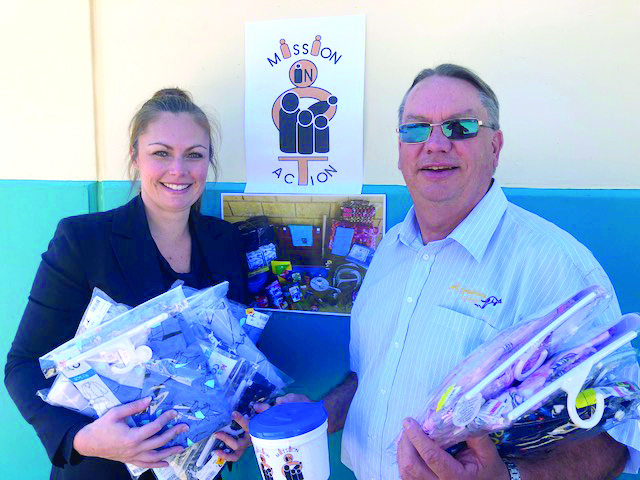 Another way you can help is by travelling—see the many interesting, historical and creative sights and attractions that are keeping farming communities thriving. Invest in local accommodation, restaurants and tourist attractions, which keeps the economy going and provides other opportunities for growth. Victoria’s Heartland including Silo Art, where you can see outback communities attracting tourism through creative arts. 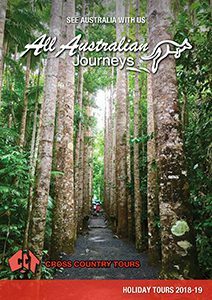 We’ve got every state of Australia covered in this brochure, giving you the opportunity to explore every part of our beautiful country. So please join us in discovering the magnificent places of Australia, and the experiences and local people who make it memorable. To view all our tours, click here. 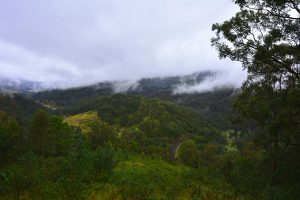 The Lions Road is a privately built road connecting Beaudesert with Kyogle, following a scenic route through rainforests, rivers and mountains of the McPherson Ranges along the Queensland and New South Wales border. What’s it like to travel the Lions Road? Get up close and personal to creek crossings, rainforest walks and top for breathtaking scenic lookouts through the Border Ranges. While travelling, stop to see the incredible border spiral loop on the interstate railway line – an impressive engineering feet. Allowing trains to rapidly climb elevation in order to cross the range, the loops, curves and shorter tunnels were more cost effective than building a much longer and more expensive tunnel. The road is narrow in parts and is not suitable for larger, heavier vehicles. 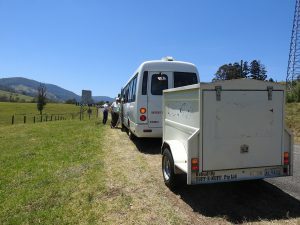 Instead of our larger luxury coach, we are taking our mini-bus, along with a trailer, meaning you’ll have a more intimate experience of the beautiful scenery in a small group tour. 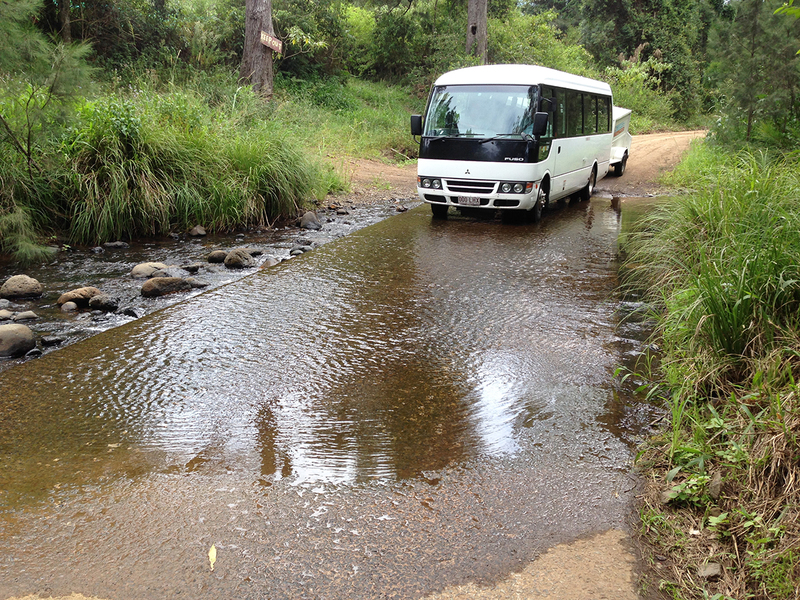 After the NSW government decided not to build the road connecting the Northern Rivers of NSW with Brisbane via Richmond Gap, the community took matters into their own hands. Opened in 1970, the road was a project of the Kyogle and Beaudesert Lions Clubs, who received incredible support from the local communities and businesses in the form of funding, materials, construction and expertise. 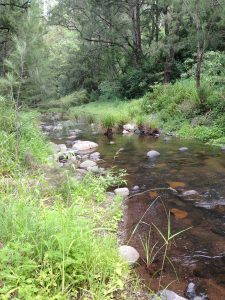 The road has been continually improved through the support of the local border town shires, NSW, QLD and Federal governments, the Australian Army, Parks and Wildlife and other organisations who have contributed to the road. 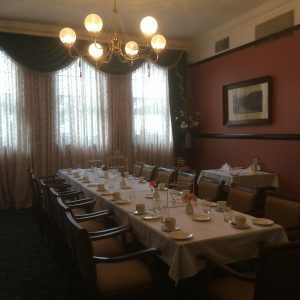 Our three day tour departing from Brisbane spends the first day traversing the beautiful Lions Road, crossing the state border and continuing to Lismore where we unpack for two nights at the Karinga Motel. On day two, we get lost in the enormous Lismore markets, tapping into the creative and alternative arts, antiques, bric-a-brac and fresh produce of the Northern NSW region. 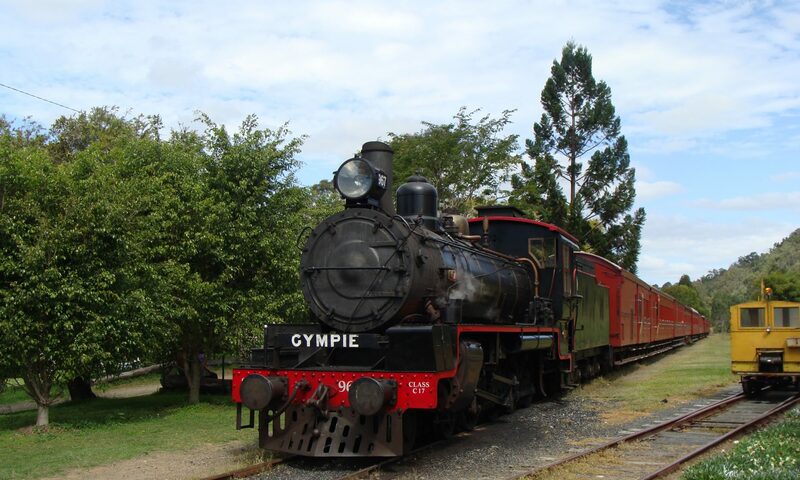 In Ballina, enjoy a Devonshire tea at heritage listed Ballina Manor and visit the Maritime Museum. 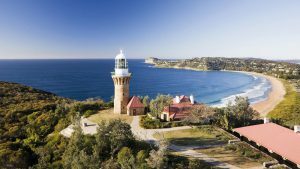 On day three, enjoy morning tea at Macadamia Castle before continuing on to the most easterly point of Australia, the Cape Byron Lighthouse. 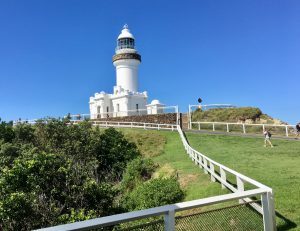 Continue via the coastal route back to Brisbane, via Kingscliff Beach for lunch, then Pottsville, Hastings Point, Cabarita Beach and Tweed Heads. An unforgettable, intimate journey, close to nature. We have two departures in 2018, 3 November and 1 December. Find out more here. In recent months, we’ve been working towards all our Queensland Day Tours requiring payment before the day of travel. 90% of all tours already require payment one month prior to the date of travel, or at the time of booking. Safety of our on road team—it’s essential that we minimise the need for our crew to move around the coach while we are travelling, to prevent any injury in the event of an emergency stop. Safety of our passengers and crew is our first priority. Less managing cash on the day—our team’s first priority on the day of travel is making sure everyone is on board and ready for an enjoyable day out. By having our payments squared away before we travel, we’re not spending valuable tour time recording payments and managing cash and change. You can still pay in cash—you can drop into our offices in Sandgate (QLD) or Thornton (NSW) to make a payment for your tour. In Sandgate, we’re open standard Monday – Friday business hours and also Saturday mornings until midday. Traveller’s Refund Guarantee still applies to QLD day tours—this means that if you are unwell and need to cancel up until the day of travel, we will provide you with a full refund of your tour fare—but you need to let us know before tour departs. If any need to cancel arises, please let us know as soon as possible so that any waitlisted passengers may have the opportunity to travel. If you have any enquiries about prepayments or day tours, please don’t hesitate to get in touch on 1300 631 383 or send us an email. It’s time to shake off the winter blues and warm up ready for spring and Floriade season. While we have been shivering in our jackets, beanies and gloves, the tulip bulbs have been quietly preparing for blooming season. 1. 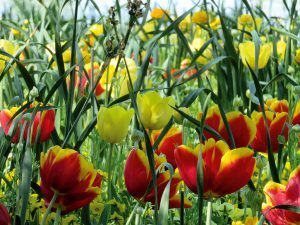 Tulip garden beds are designed and planted more than six months in advance. Tulip bulbs require at least six months planted in cool, dark soil before blooming. So planting for Floriade takes place during autumn, with careful planning and design. Floriade 2018 is embracing pop culture, so each of the garden beds has been inspired by music icons, Australian artists such as Ken Done, stars of the silver screen and even Where’s Wally? 2. 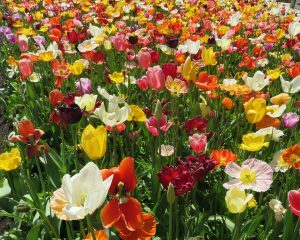 Canberra Floriade features flowers from more than 1 million bulbs and annuals. Imagine Commonwealth Park, on the shores of Lake Burley Griffin, coming alive with the bold colours of spring. Commonwealth Park is about the size of 34 football fields that you can expect to be blanketed with colour and intricate floral designs—with space for live music, workshops and food stalls of course. 3. Gnome Knoll is a mainstay of Floriade. Every garden needs a garden gnome! Create your own design and take him (or her) on tour of this floral extravaganza. Perhaps enter your gnome creation into the Rotary Club’s competition for best design, or snap a photo of your gnome amongst the beautiful garden designs. There are plenty of entertaining activities and attractions that can add to your Floraide experience. Perhaps try a workshop such as a Terrarium Workshop—well known florists Moxom + Whitney lead a session in terrarium making, terrarium care and the power of getting dirty. 4. Photos will be colourful and long lasting. 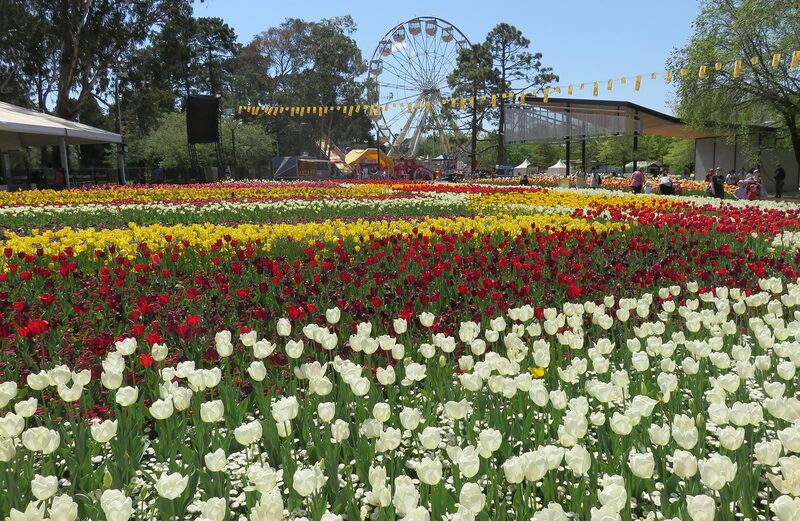 If you’re a budding photographer (pun intended), then Floriade will be paradise for you. With a vast array of colours and designs, perhaps one of the biggest questions is whether to get a close up of the immaculate petals of a tulip, or of the bigger picture. The answer is of course up to you, but if you’re looking for some great photography tips, read this blog by photographer Carol Elvin. 5. Canberra is about more than Floriade. 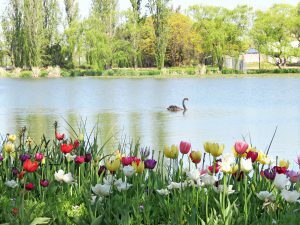 Explore 10 acres of tulips, daffodils and blossoming spring trees at the Tulip Top Gardens, open for only a month each year. Find out more about this tour, departing Sydney and the Hunter in September 2018. Download the itinerary. If you’re based in Brisbane, why not consider our Southern Highlands and Floriade tour.